Blogger Sidekick | What is a content anchor? What is a content anchor? There is lots of conflicting advice out there about SEO and content marketing. It can be seriously confusing at times. Especially when you apply something you’ve read about and it falls flat – all that time for next to no return on effort. Not to mention that the big search engines have all of us on a short leash. We know that they deliver the most consistent, sustainable website traffic but it’s way too risky to build a business on that premise. The one thing that you can be sure about is that content is winning. Content is the ONE staying factor. And Google has recognized that. More and more we see the biggest search engine in the world favoring longer, more resourceful content. That’s MORE noise, and a whole let less chance that the people you need to, will hear your message. So you need to do something out of the ordinary… Something to standout from the crowd and be different. A few 500-word blog posts and a couple of how-to videos won’t cut it – you need to create something EPIC time and time again. Content anchors are the cornerstones of your SEO’s Spiders Web. They form the architecture of your site and guide the rest of your content strategy. Writing a well constructed content anchor can be time consuming – because it’s NOT just like sitting down to write a blog post. It’s about conducting keyword research, discovering content opportunities and building a one-of-a-kind resource on a topic that blows anything else out of the water. You know it’s bigger and better because you have researched, read and meticulously critiqued everything else there is on the topic. No one else is game to attempt anything like it because it’s a LOT of work, and most people don’t have the determination to make it to the end. That’s why there is a massive opportunity for YOU to stand out and be different. Create something that no one else will, and cut through the clutter of this online content jungle. Bonus: If you want to create content that will rank in search engines, download the SEO Content Bundle. It is made up of two checklists that will help you create Anchor Content for your website, AND a PDF info sheet that summarizes the SEO Spider’s Web. How do I create a high-quality content anchor? That all sounds good… but what are the ingredients of a high-quality content anchor? How can you be sure you’re on the right track? There are 6 boxes you need to check when creating your content anchors – making sure all your time and effort doesn’t go to waste. Content anchors are the pillars of your content strategy – which means they are essentially the bookends for your website. Much like the pillar infrastructure of a building, everything else would collapse without their stability and depth. These pillars are created for a short list of high-performing topics that you want your website to rank for. 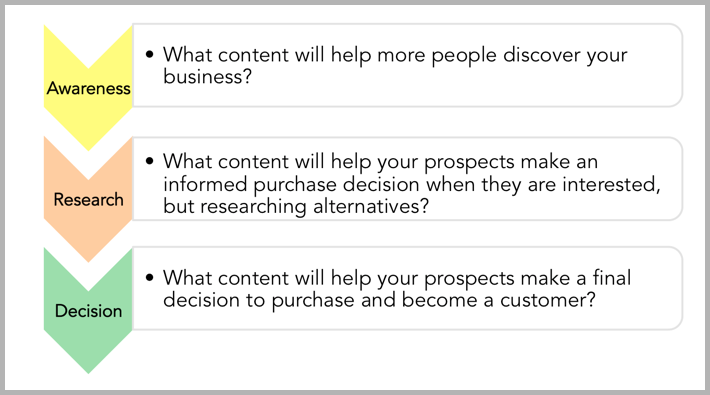 The topics you choose for your anchor content dive deep on your customers biggest problems. They get inside their head and know exactly what they will type into a search engine. Every future, or previous, blog post you have written about this topic will link back to the content anchor. By linking to the most appropriate content (on and off your site), these content anchors will BOOST user experience and help visitors find everything they need to about this topic. This strengthens your web of links and tells Google that the anchor content page is the most important page on that specific topic on your site. Your sole purpose for conducting outreach campaigns is to attract social shares and links for these content pillars. The more social shares and quality links you get back to this content, the more perceived credibility Google places on each of them. Over time… You start to climb your way up the search engine rankings. How are you uniquely different to any other business in your industry? Your content anchors need to bring out your brand’s personality and connect personally with readers. There are businesses out there who forget about the personal side of things when it comes to creating content. On the flip side, someone like Copyblogger bring more personality to the table than most individual bloggers. They create content to serve an audience and NAIL it every time. What is your business personality and how will you show it off in your content anchors? Write like you speak – read it out loud and make sure it sounds conversational. Kevin Duncan’s “Howdy Neighbour Technique” is a great example of using a metaphor to connect with your audience and help people quickly understand a topic. The more you can drop your guard, the quicker people will trust what you have to say. And in the end, that’s exactly what you’re hoping they will do. Content anchors are useless if they don’t help you grow your business and nurture prospects into customers. That’s why they need to strategically map out the buyer’s journey from start to finish. Once I had locked down the ideal target audience, I’d focus on researching and creating content anchors for the website – based on those personas. Ask yourself; what information does a prospect need at every stage of the journey, from not-aware to recurring customer? At a minimum you should create at least one content anchor for each stage of this journey – for every one of your buyer personas. When new visitors come to your site they should be guided sequentially from Anchor 1 (Un-Aware) all the way through to Anchor X (Ready to buy). Mirror this journey with email automation, regular blog content or targeted advertising and your whole marketing funnel will start to make more sense from start to finish. Not only does this help YOU understand what is going on and improve your chances of converting more web visitors into customers. But, it also helps your prospects find a path. They have come to your site for a reason, HELP them get where they need to go by providing helpful content every step of the way. So when you are creating your set of content anchors (or getting started with your first) make sure it contributes to this journey. After all, your goal is to get more customers right? Keyword research stills matter… Especially when creating your content anchors. Keyword research helps you eliminate assumptions about what you THINK is an interesting topic. Too often people rush to assumptions about whether a topic is interesting, without confirming that people are actually searching for it. It helps you communicate in a language that search engines understand. Even though search engines are getting more intelligent in the way they interpret content, keywords or “search terms” are still the best way for them to understand what your content is about and therefore show it when someone searches for those terms. Keyword research also helps you get the right TYPE of visitors to your website. This point can’t be understated. There is no point in getting lots of traffic that is irrelevant to your business proposition – this will not only result in frustration for you but most likely a lot of people bouncing straight off your site. Finally, it helps you better understand your ideal customer. The insights you will discover by analyzing search trends, search volumes and how competitive keywords are, will provide valuable information about the behaviour of your ideal audience. These four reasons are WHY keyword research is so important – despite it being slightly tedious – you will see the benefits in the end. … and 5 to 6 long-tail varieties of that term, subtly weaved throughout the content. In the above example we get long-tail search traffic for all sorts of terms related to the main “blog introduction” topic. Most of these terms are ones I deliberately positioned throughout the article (And some I didn’t). But because it was a long resource I could do this without it looking totally out of place. As a start, create a resource that talks to humans and is compelling from start to finish… But don’t forget about keywords. Evergreen content is timeless… Well at least to a certain extent. It is helpful and valuable to your ideal audience today, tomorrow, and in 12 months time. Your content anchors should be evergreen so you can see the true benefits of long term search engine traffic. The whole point of investing a lot of time and energy into creating these anchors is so that they can generate consistent and sustainable traffic to your website well into the future. You want potential customers to search for your keyword term in 12 months time and find an article that helps them overcome whatever challenge they are having. Then, by helping them solve that challenge, you build trust and credibility. You also inject a new prospect into your marketing funnel at whatever stage of the buyer’s journey they are at. Of course, you will need to update your content anchors over time to keep them fresh, interesting and relevant – but the core idea will remain the same. Anything less than EPIC won’t cut it. 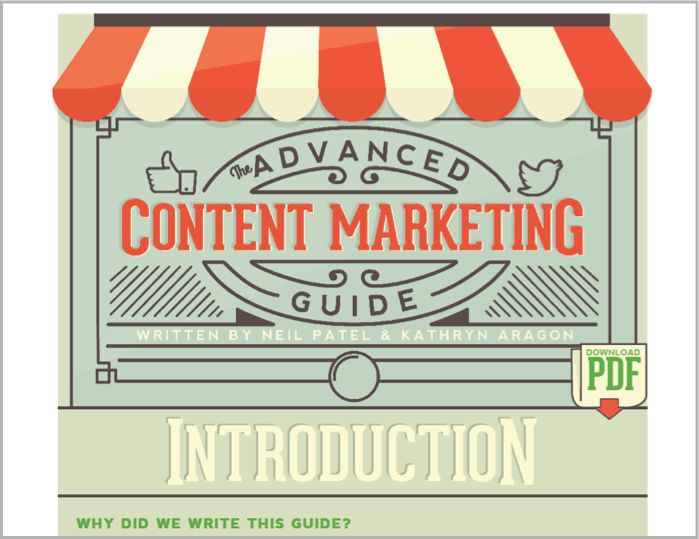 Your content anchors need to be definitive. They need to stand alone as the best resource out there on a topic. Because that’s your only real chance to start ranking. There’s very few topics left in any industry that don’t have resources created for them, so if you want to start dancing on page-one you need to go that extra mile. If I land on your content anchor page from a search query, I want to find everything I need to answer my question. If I don’t get everything I need, I’ll go straight back to Google and check out another resource. As soon as I go back to Google, it registers as a “bounce” and your content’s credibility in the eyes of the search engine drops. Note: You can make your content anchor definitive by using this writing process. There’s two ways to look at this topic, and it depends on where you are on your content journey. Alternatively, you can look at the content on your site retrospectively and build “hub” pages that act as your content anchors for each primary topic your site is all about. Neil Patel built his content anchors from day one for his wildly successful content marketing blog Quick Sprout. His whole content strategy began with a BANG – with a list of extremely definitive resources already created before kicking his regular blogging into gear. Neil calls his anchors “Guides” and you can find them in the right-hand panel of the Quick Sprout blog. These things are about as “definitive” as a piece of content can get… The content available in these guides is better than most fully-fledged book publications. The genius of how Patel did all of these guides for Quick Sprout is he partnered with other experts in each field he created a guide for. This meant exposure for them, but a whole lot less work for him. Help Scout is a help desk company. They call their content anchors “Resources”. Much like Patel, the team at Help Scout have blown everything else out of the water on their chosen topics for anchor content. They’ve optimized this resource for list building, but it’s really the ultimate guide to winning new customers with email marketing. This is a seriously awesome piece of content – way better than anything else I’ve seen on this topic (and I’ve written a big article on list building myself!). I wanted to show you this concept through a left-field example (because I know I get caught up in the marketing space sometimes). Let’s look at the ESPN website and their page dedicated to Lebron James. Beyond the up-to-date statistics, this page acts as the “hub” for everything about Lebron James on the ESPN website. Any new article that is published mentioning Lebron links back to this page (just like you should do with any article that is closely related to your content anchor). Because it passes all the “juice” back to this page. In this case, ESPN is telling Google that this page is the best and most interesting page on their site about Lebron James by regularly linking back to it. Now, if you can get OTHER authoritative websites to link to your content anchors too… It tells Google that those sites also consider it a credible source on your chosen topic. That’s why it starts to work it’s way up the search results. The ESPN Lebron James page ranks just below his own website and Twitter account when you search for “Lebron James” in Google. Getting your content to rank in search engines is not easy work. But this is what we’re left with. An extremely competitive digital marketing landscape where cutting through the clutter requires some serious elbow grease. You will see results, and the long-term benefits will outweigh the upfront pain. What is the very next step YOU need to take to get your content anchors firing?